Tri-Cities real estate 2012 started out with a bang in January with the sale of a Pasco riverfront home listed at $1,190,000! 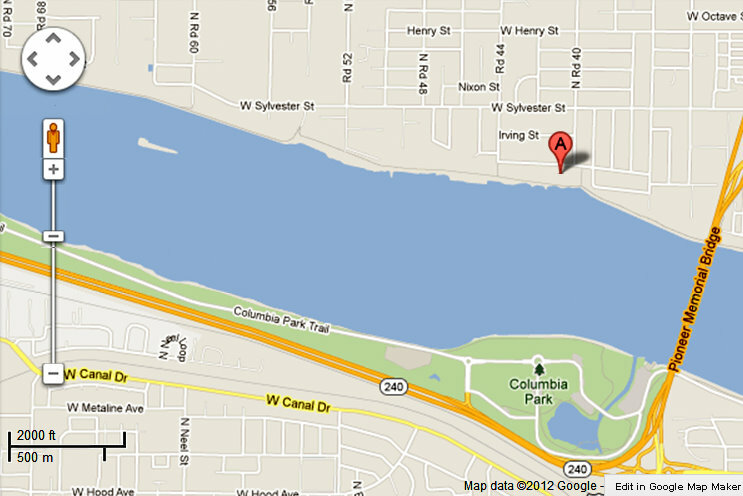 Homes truly located on the Columbia River aren’t listed for sale very often; when they are, they sell at a premium. This .89 acre lot also happens to be located directly across from Columbia Park in Kennewick, making it a prime area for spectacular views of the Columbia River and the annual hydroplane races. What does this mean for the Tri-Cities real estate market? If you refer to the 2011 statistics chart at Tri-Cities Home Sales-What’s Your Price Range?, you’ll note that zero listings (single family homes listed on the MLS) sold in the “over $900,000” price range last year. This sale falls in that price range–a record breaker nearly $100,000 higher than the top price for 2011. Total days-on-market? 90. This sale may be a skewed statistic, or it may be a sign that buyers are taking advantage of our reasonable market values and historically low interest rates to buy the home of their dreams. Are you interested in a riverfront home, or any other specific area? Let us know what you have in mind, and we can send you listings as they come on the market. It doesn’t matter whether you’re just getting started on your first home, or ready to buy the home of your dreams, give us a call–we’d love to help you out!